France doesn't support any reopening of JCPOA which should be implemented as it is. France and Germany created a complicate structure to allow some commercial dealing with Iran while escaping secondary U.S. sanction threats. Iran's Supreme Leader Khamenei called the construct "a joke" as it will hardly allow any serious trade. Last week Germany, Britain and France also stepped up nagging Iran about its ballistic missile programs. 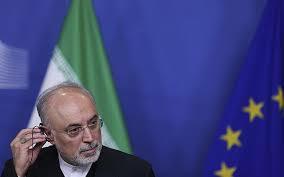 Iran harshly rejects (vid, recommended) any such criticism. It has long voluntarily limited the range of its missiles to 2,000 kilometer. As it has no modern air force, missiles are its only means to hold its enemies' assets in the Middle East at risk. It will never give up on them.